Explore the captivating canyonlands and experience spellbinding landscapes on this unforgettable National Parks tour! 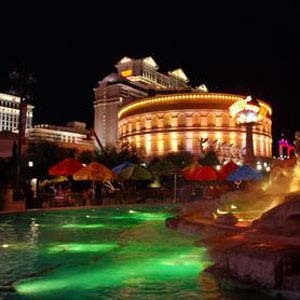 You’ll start and end in Las Vegas, and overnight along the way inside Grand Canyon National Park; near Monument Valley in Kayenta; near Lake Powell in Page; Bryce Canyon National Park; and St. George, the most important Mormon community in southern Utah. 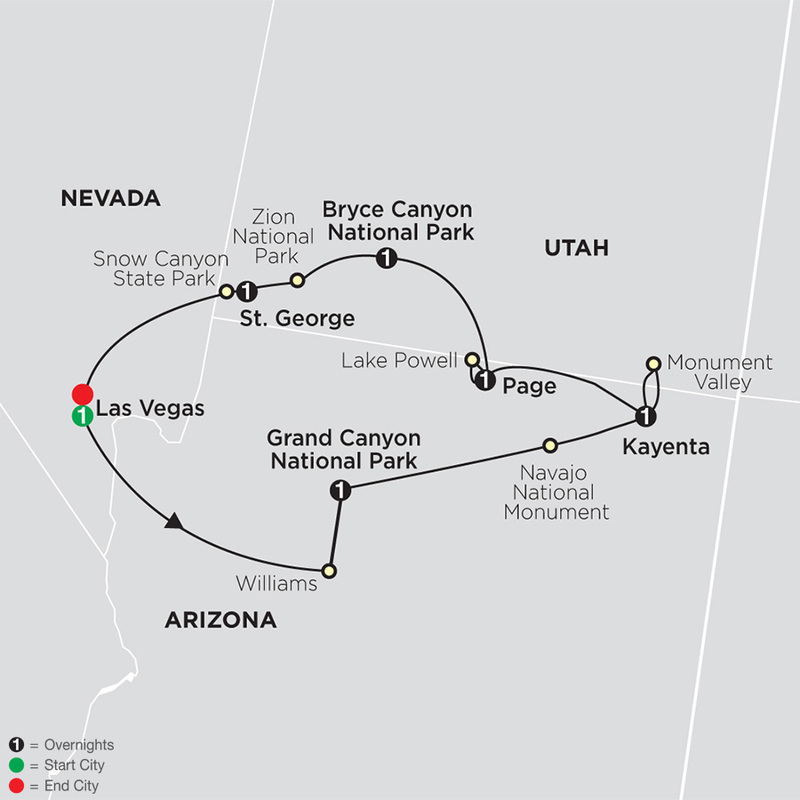 Highlights of this National Parks tour are your visits to the Grand Canyon, Bryce Canyon National Park, and Zion National Park. 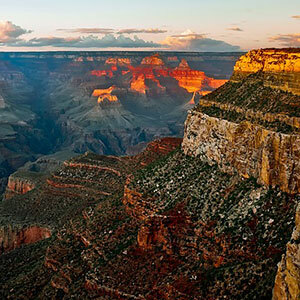 You’ll stay inside Grand Canyon National Park, giving you the opportunity to see a stunning sunset over the canyon. If you miss sunset, sunrise is also spectacular! In Bryce Canyon National Park, you'll be amazed at the bright red, yellow, and pink pillars called "hoodoos." Enjoy the beauty and peace offered at Zion National Park-with its massive canyon walls ascending toward the blue sky. 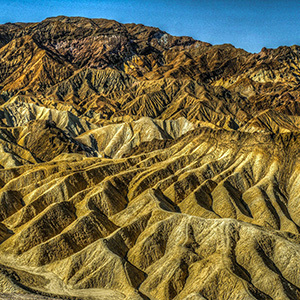 Rushing streams over millions of years have carved these steep canyons and stone towers that will mesmerize you. You’ll have plenty of time here to explore the park, join a park ranger, or take a leisurely hike. But that’s not all…you’ll also visit Monument Valley, one of the world’s most photographed places with its pinnacles of rock surrounded by mesas, buttes, shrubs, trees, and windblown sand. Have your camera ready for some spectacular shots during your 4-wheel-drive tour of mystical Monument Valley and its massive formations. At Navajo National Monument, visit the visitor center and view artifacts of the villages that date from 1250 to 1300 AD built by the prehistoric Puebloan Ancestors. You’ll also visit Glen Canyon Dam-the country’s second-highest concrete-arch dam-which holds back Lake Powell, the country’s second-largest man-made lake. Finally, you’ll visit Snow Canyon State Park, a park featuring soaring sandstone cliffs. Offering stunning scenery, this National Parks tour designed for value-minded travelers should not be missed!